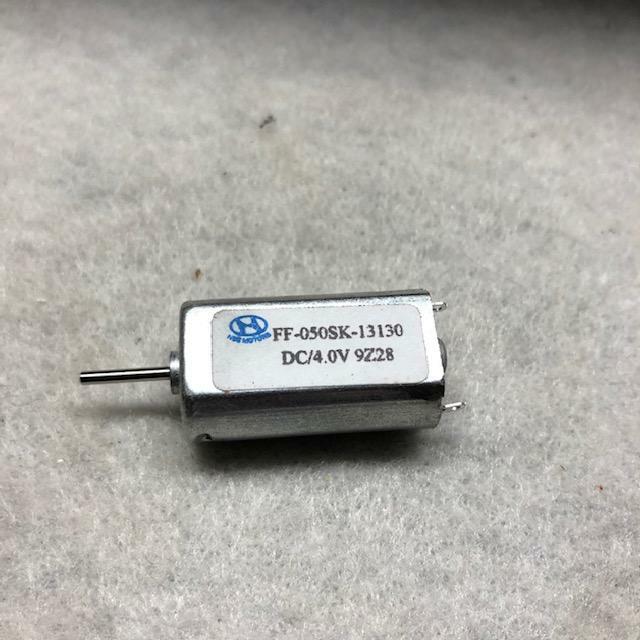 Nice 4 volt dc motor. Model FF-050SK-13130. Operates from 2 to 4 volts dc. No load speed is 7600 rpm. These are being used for audio-visual equipment, home appliances and electric shavers. Unused.